a tenant who is in the process of eviction, you already know how physically and emotionally draining the entire process is. If you are trying to find relief by going to court, it will take a lot of money, time, and energy. It is faster when resolving disputes – court cases can drag for months and even years. Mediation on the other hand, can be over even in a couple of hours if you and your tenant can easily come to an agreement. It is confidential – all things said and written in court cases are public records. This means that all your tenants from different locations (including every person in the area) can access all the information related to the proceedings. For instance, your tenants from Red Deer can obtain copies of what transpired between you and your problematic tenant in Sherwood Park. This is disconcerting to say the least. It is low cost – going to court is an expensive process and more often than not, the cost outweighs the benefits. Mediation is more affordable and eliminates litigation fees. The result is beneficial to both parties concerned – the mediator has no authority to make the final decision. You and the other party alone can decide how the settlement will go and how it will end. This means that at the end of the process both parties are satisfied in some way since there has been a mutual agreement. The items listed above are just some of the top advantages of mediation. It is in your financial interest to acquire the help of professional Landlord Tenant Mediation Services. Remember that your goal is the removal of the tenant in the fastest and most cost effective manner possible. 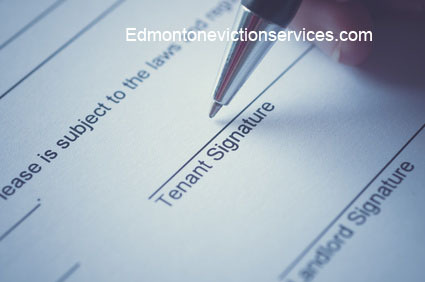 Edmonton Eviction Services provides the knowledge, experience, and skills to mediate on your behalf.